We are extremely proud to state that our refurbished forklift batteries are guaranteed to retain a minimum of 85% of the rated capacity of brand-new forklift batteries. They come with a standard 1-year warranty or an optional 2-year warranty. Shipping is included in continental North America. Our refurbished forklift batteries for sale offer consumers a more affordable power source option for forklifts. 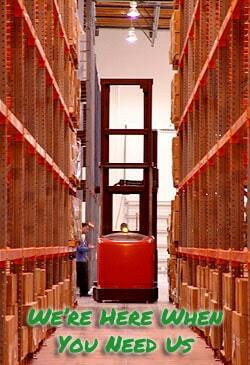 Our refurbished forklift batteries retain a minimum of 85% of the original battery’s capacity. Considering the cost difference between new and refurbished batteries, this can be a very affordable power source option. 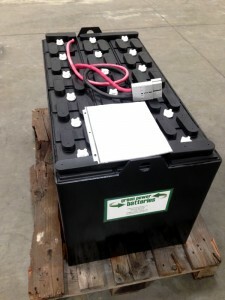 If you have used forklift batteries of your own, you can send them to us for reconditioning, as well. But purchasing a new or refurbished battery may still be necessary to ensure that you have working forklift batteries while your used batteries are being reconditioned. 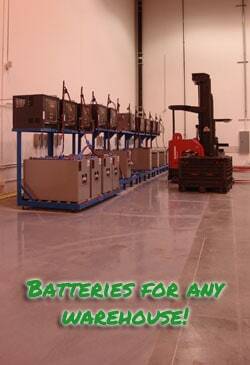 We hope you can see the cost-saving advantages of using Green Power’s refurbished forklift batteries. This also contributes to limiting the needless smelting of lead-acid and the CO2 emissions it causes by decreasing otherwise endless consumer demand for brand-new forklift batteries. 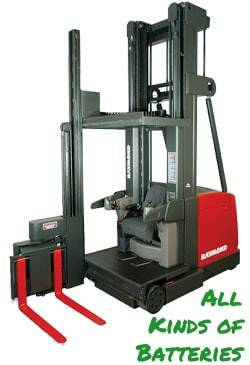 Try one of our refurbished forklift batteries today! If you have any questions about any of our products or want a quote, please use the form below or call us direct on Tel: 619-737-5944 during business hours and we will answer all of your queries as quickly as possible. Important: Please tell us the City, State & Country that you would like the forklift battery shipped to.